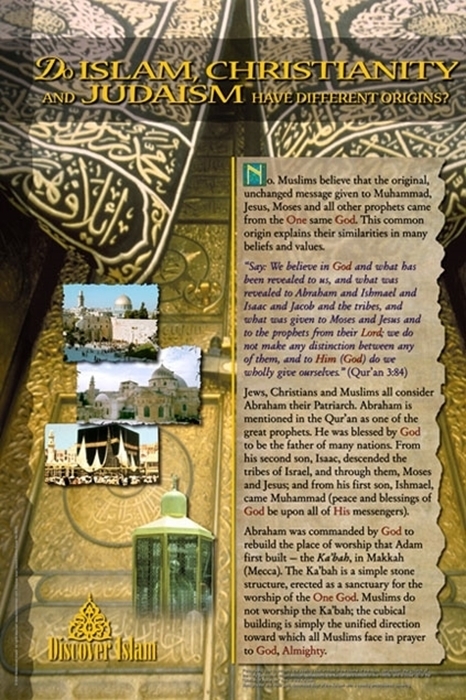 This poster is part of the new Second Edition set that has been greatly improved - new revised text reflects post 9-11 America; redesigned with new and more pertinent images. 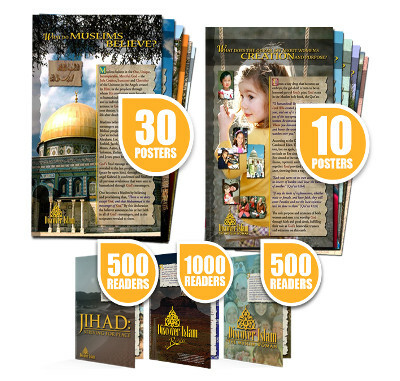 Each poster was approved by scholars. 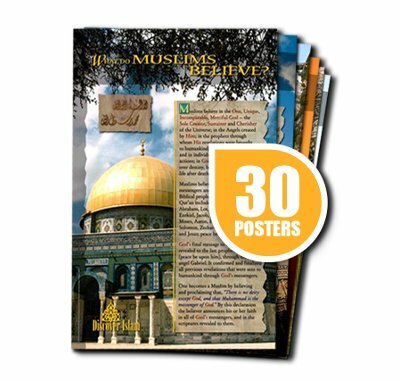 Each poster is laminated, 36" x 24".  Can easily be mounted on an Easel or a Foam board. Note: This poster is sold as part of a set. Please see purchase options below. 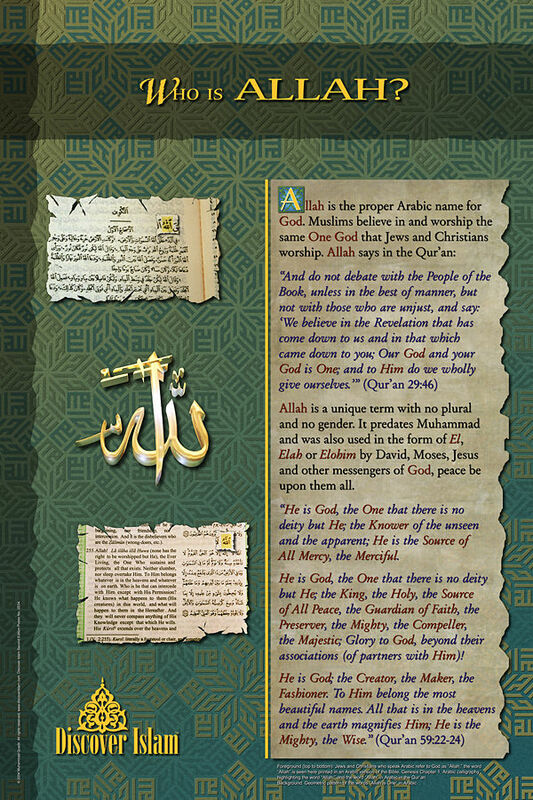 Allah is a unique term with no plural an no gender. 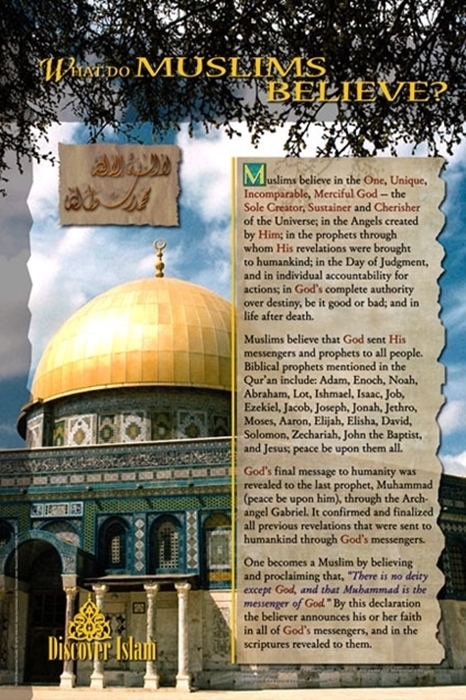 It predates Muhammad and was also used in the form of El, Elah or Elohim by David, Moses, Jesus and other messengers of God, peace be upon them all. 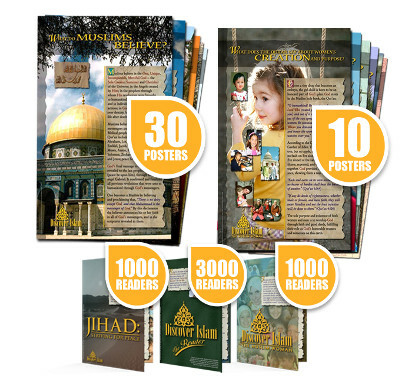 The Original but improved 2nd Edition Poster set containing 30 posters that powerfully communicate the beauty of Islam. 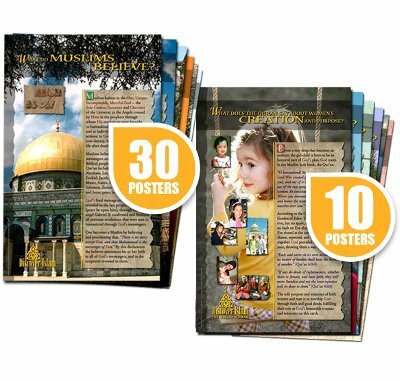 Laminated & measuring 36" by 24"
The Muslim Woman Poster Exhibit.